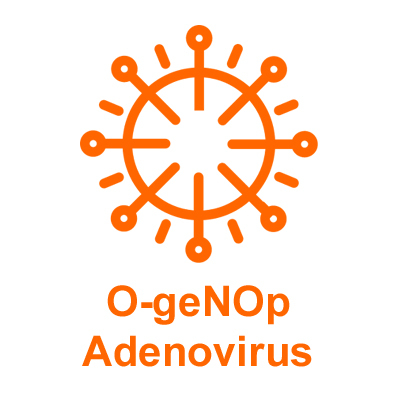 ΔG-geNOp is a green fluorescent genetically encoded negative control that does not respond to intracellular nitric oxide (NO•) dynamics. It has been developed on the basis of the green fluorescent protein (GFP) that is conjugated with a mutated domain of the Escherichia coli protein NorR. In the presence of NO• the green fluorescence intensity of ΔG-geNOp is not affected. Hence, ΔG-geNOp should be used for control experiments. The excitation and emission maxima of ΔG-geNOp are at 480 nm and 510 nm, respectively. 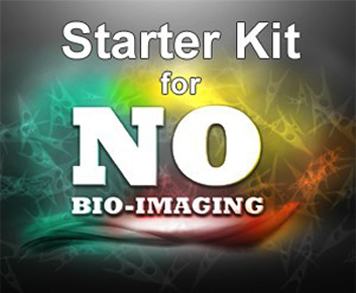 Standard optical filters optimized for imaging of GFP should be used. 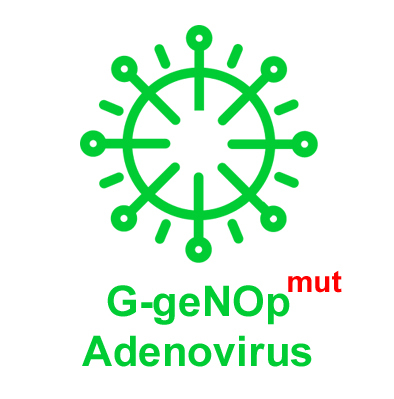 ΔG-geNOp is a genetically encoded green fluorescent construct that can be used as a negative control. In order to express ΔG-geNOp in cells of interest 20 µg purified, endotoxin-free plasmid DNA coding for ΔG-geNOp is provided. The plasmid coding for ΔG-geNOp represents a mammalian expression vector with a strong viral promotor. We neither recommend using the plasmid as a source for the ΔG-geNOp sequence nor multiplying it. 1 – 1.5 µg DNA should be used for cell transfection in a single well of a standard 6-well dish following standard transfection procedures. 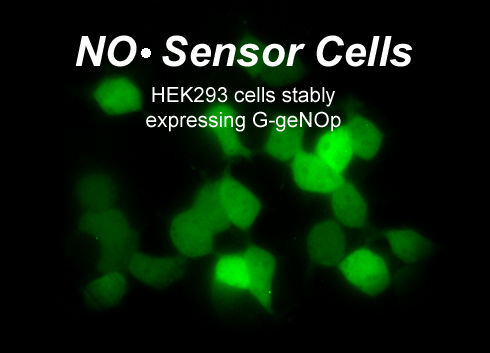 Usually cells express high amounts of ΔG-geNOp 24 – 48 hours after cell transfection. Even high amounts of NO•-donors such as NOC-7 (10-100µM) should not quench ΔG-geNOp fluorescence.